The bestselling author of The Orchid Thief is back with this delightfully entertaining collection of her best and brightest profiles. Acclaimed New Yorker writer Susan Orlean brings her wry sensibility, exuberant voice, and peculiar curiosities to a fascinating range of subjects—from the well known (Bill Blass) to the unknown (a typical ten-year-old boy) to the formerly known (the 1960s girl group the Shaggs). Passionate people. Famous people. Short people. And one championship show dog named Biff, who from a certain angle looks a lot like Bill Clinton. 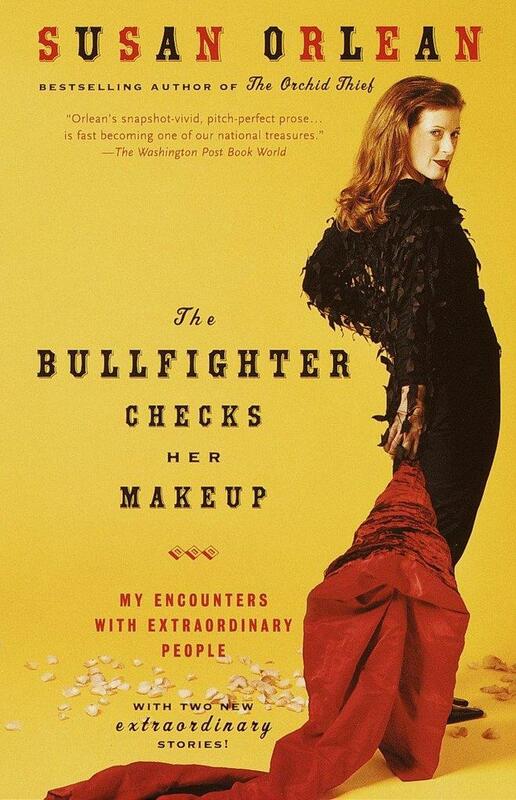 Orlean transports us into the lives of eccentric and extraordinary characters—like Cristina Sánchez, the eponymous bullfighter, the first female matador of Spain—and writes with such insight and candor that readers will feel as if they've met each and every one of them. Susan Orlean has been a staff writer at The New Yorker since 1992. Her articles have also appeared in Outside, Rolling Stone, Vogue, and Esquire. She is the author of Saturday Night, a New York Times Notable Book of 1990, which, in the words of Entertainment Weekly, "calls to mind Damon Runyon, Evelyn Waugh, and screwball comedy." She lives in New York City.